The Tubifex, a popular living fish food, is now being collecting and selling on commercial basis in Chasra areas of Jessore district, Bangladesh. 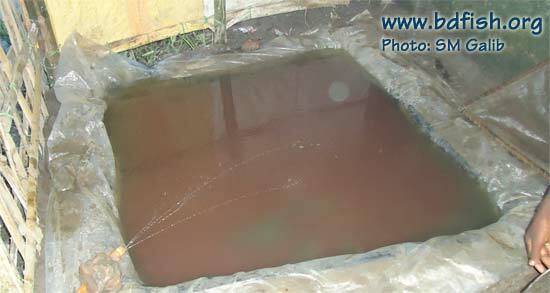 In this area, there are many hatcheries, plenty of ponds and several small to large drains. These drains are the sources of Tubifex! 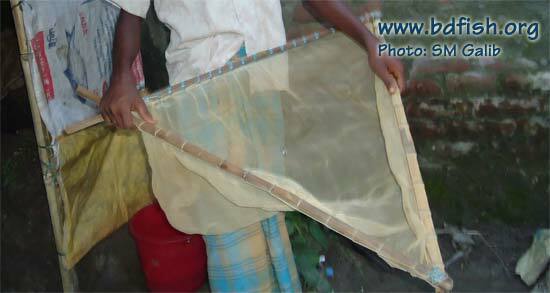 Mr. Nur Alam and his family members are involved in this profession of collecting, gathering and selling. Collection process: Small sized and small meshed drag nets are used to collect Tubifex from these drains. 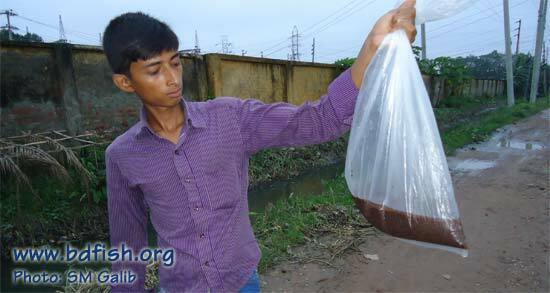 Generally, Nur Alam and his family members can collect and gather 2 to 20 kg Tubifex every day. But, during rainy season or rain, catch usually reduce. Temporary storage/preservation: All the Tubifex are not sold at the time of collection. Thus, they preserved these organisms into a rectangular or square shaped virtual water body with 25-30 cm water depth and plastic sheet on the bottom. 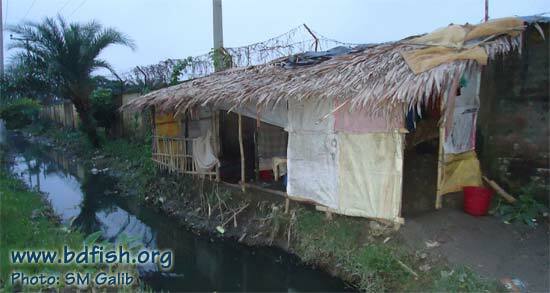 For this purpose, Mr. Nur Alam constructed a temporary room by the drain from where he usually collects Tubifex. Selling: Retail price is 120 Taka per kg. Majority customers are the fish seed producers of Chasra area. Moreover, hatchery owners from Rangpur, Pabna, Rajshahi and Dhaka come here and buy Tubifex. 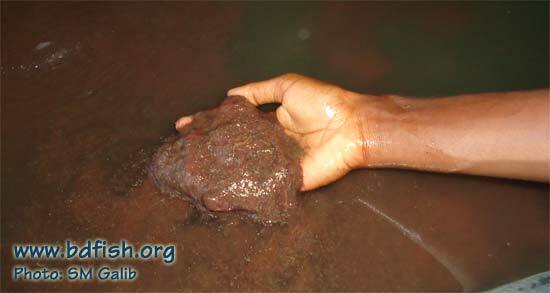 According to Mr. Nur Alam, the present supply is not sufficient to fulfill the demand of this live fish food. Visited 1,799 times, 1 visits today | Have any fisheries relevant question?